House of Lords approves bill giving PM May the power to begin proceedings to the leave the EU. 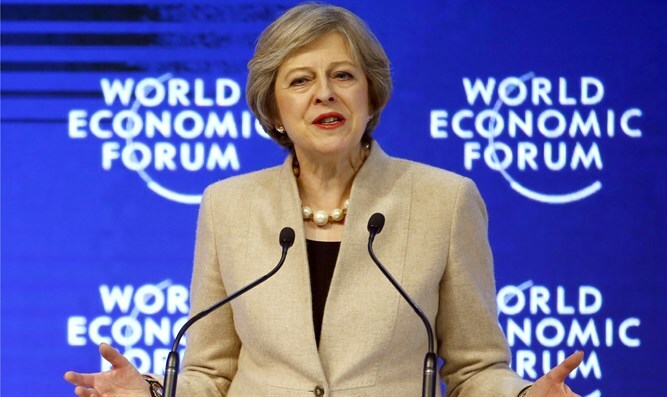 Britain’s parliament on Monday night approved the Brexit bill, giving Prime Minister Theresa May the power to begin the proceedings to the leave the European Union. The House of Commons approved the bill several weeks ago, but the House of Lords sought to amend it, inserting a promise that EU citizens living in the UK will be allowed to remain after Britain pulls out of the bloc. They also added a demand that Parliament get a "meaningful" vote on the final deal between Britain and the remaining 27 EU nations, according to The Associated Press. Both amendments were rejected Monday by the House of Commons, where May's Conservatives have a majority. The bill returned to the House of Lords, which backed down and approved it without amendments. Once the bill receives royal assent — a formality that should be accomplished within hours — May will be free to invoke Article 50 of the EU's key treaty, triggering two years of exit negotiations, by her deadline of March 31. May could theoretically invoke Article 50 as early as Tuesday, but sources in Downing Street sources told the BBC the move will not happen this week, and that the Prime Minister is expected to wait until the end of the month to officially notify the EU of the UK's intention to leave. Britons voted in favor of leaving the EU in a referendum last June.